This is the build instructions for the HHO generator core. 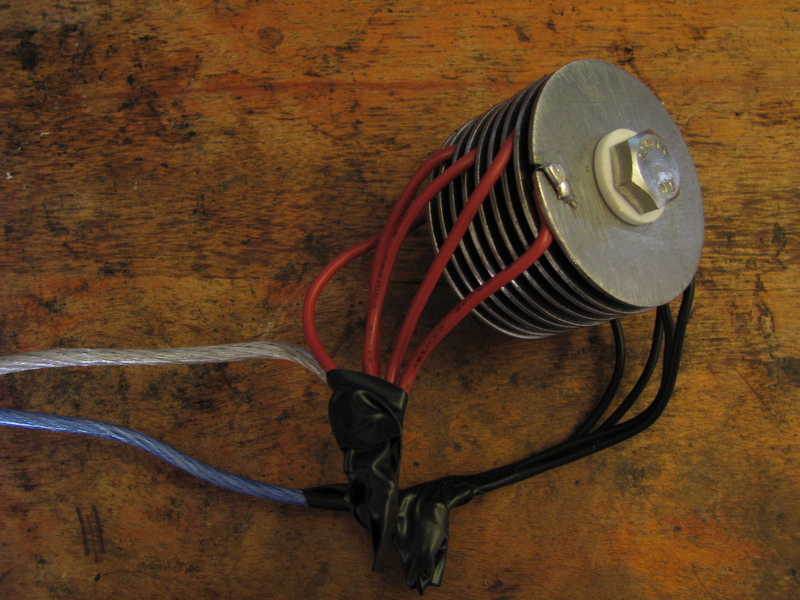 The HHO generator works by employing the use of electrolysis. In basic terms the electrons that transfers between the plates of the core smash into the molecules in your electrolyte mixture. The molecules then react by separating into their elemental forms. So some basic chemistry would show that water ( H2O) when split into its individual atoms would exist of (Hydrogen Hydrogen Oxygen), thus the name of the generator core. Both Hydrogen and Oxygen are both a gas under natural environmental conditions. Like most gas’s the Hydrogen and Oxygen will rise out of your electrolytic solution where they can be captured and utilized. The design ( like most) revolve around cost vs efficiency. 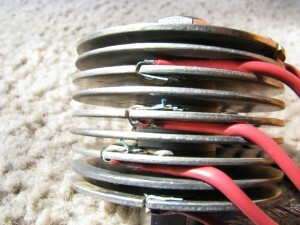 The core uses stainless and nylon parts. This is required to prevent corrosion during electrolysis, or while submerged in the electrolytic solution. For the electrodes we will be using stainless steel washers. 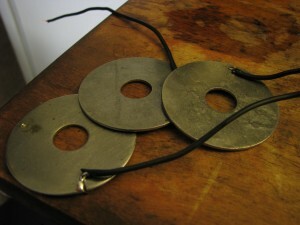 The stainless washers will be separated from one another using smaller nylon washers. A nut and bolt will be used to hold everything together. The washers should be sanded with a medium grit (120) sand paper to create tiny scratches which increase surface area. They should also have a slot cut into the side of them, or drill a hole that will be used to retain the wire for the electrode. In this core the slotted technique was used. The wire can be tucked into the slot, bent over, and soldered to retain its placement. Make sure that you keep the wire flat (parallel to the face of the washer). 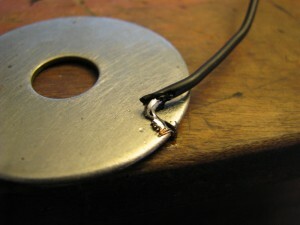 A wire sticking out to far will contact the adjacent washer causing a short circuit. At this point you can assemble the core. For easy assembly place the head of the bolt on a flat surface. 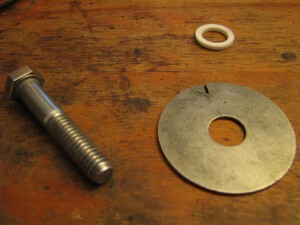 Start with a nylon washer, then add the plates with a nylon washer in between each one. Each plate should be alternated in polarity ( +- + – + – + – + – +). It is important to keep the bolt centered in the stainless washers. 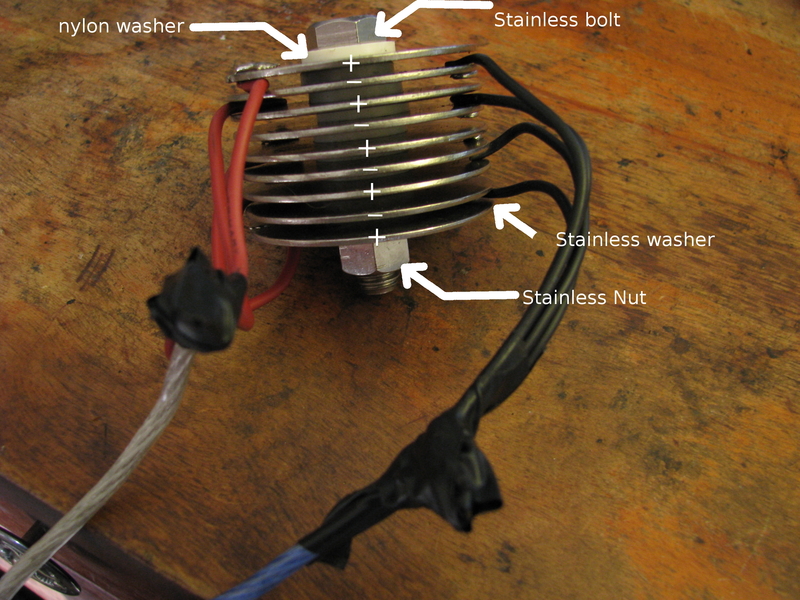 If the bolt and washer touch it will create a short circuit. Electrolytes. They come in all different forms, from Gatorade to sea water. For the ease of accessibility and reliability of the core, Sodium Bicarbonate was used to make the water more conductive. Sodium bicarbonate is just a fancy word for baking soda. So by adding baking soda to some water in a non conductive container we can have a ready to go electrolytic solution. Further electrolytic experiments will be discussed on another page. Now that you have an electrolytic solution and an HHO core it is time to split some molecules. But first you need to get yourself some sort of a power supply. The electrolytic solution is used as a resistive load. However , the current is near infinite. With that said DO NOT USE A BATTERY CHARGER like was shown in the video. Without the proper current limiting devices in place the power source used could only be on for a few seconds before it began to over heat. This WILL cause a fire, and it did indeed destroy the charger after repetitive use. Bottom line: if you blow yourself up, it is your own stupidity at fault. HHO Generator Core from Apex Logic on Vimeo. Finally! A clear and easy to understand guide on building a HHO generator core! I’ve been working on casting my own metal parts via the lost wax casting method and wanted to move away from traditional gases (like butane, propane, etc.) to something cleaner and less expensive. 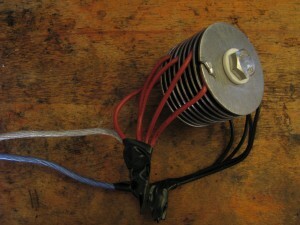 Do you think this could work to make a small, compact HHO torch for silver soldering/brazing? HHO is highly unstable when the gasses are separated into their elemental forms of Hydrogen and Oxygen. Although the idea sounds very cool, I don’t think that it would be plausible without the addition of a more stable fuel. Similar to oxy – acetylene torches that use the oxygen as the oxidizer and the acetylene as the fuel. If you have ever lit one of those torches with only the oxygen on you will notice a very loud snap sound and the torch will go out. Typically these generators are used for creating an oxidizer that is fed through the air intake of your vehicle and mixed with the injected gasoline to increase fuel economy. 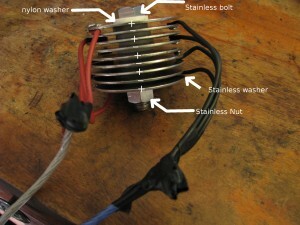 for my setup i used a 3″ stainless fender washer with a 1/2″ stainless center bolt. The bolt should not make contact to any of the plates, and the plates should be separated with nylon washers as shown in the images. If you are going to attempt this I would suggest a few things. Yes you can and should use a DC source. 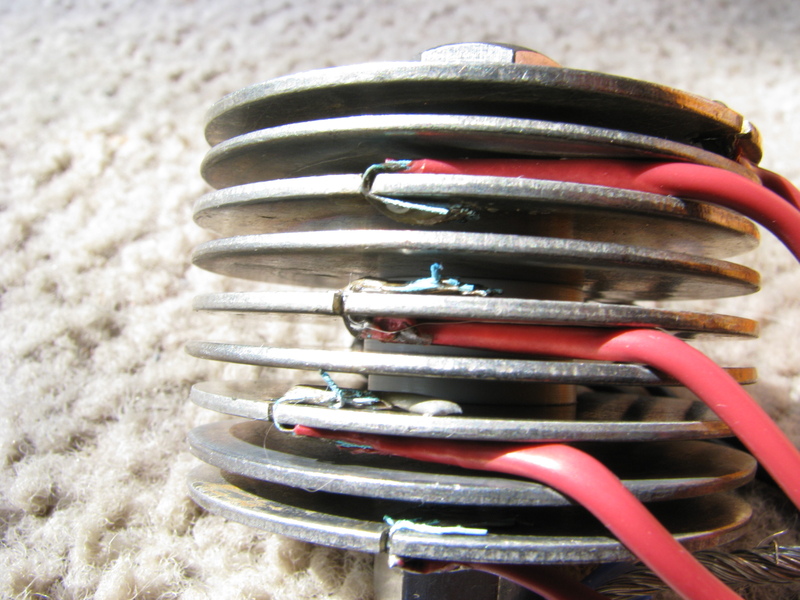 The reaction doesn’t require a very high voltage, around 12VDC would be quite enough. Voltage is also dependent upon spacing of the elements. As far as amperage goes, that would also be dependent upon plate spacing, for the 6mm spacing that I used 2 amps seemed to create quite a reaction. The reaction is also different based on the ammount of sodium bi-carbonate that is used (baking soda) in your electrolyte solution. good luck!